Hello Stella & Dot fans! 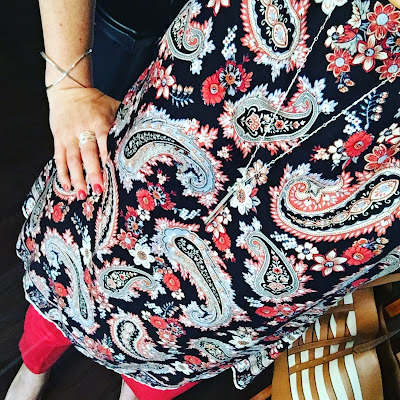 Before I get into my normal posting about how I've been wearing my Stella & Dot lately I wanted to highlight a special trunk show that I have open right now and that you are all invited to. It's a Mystery Hostess Trunk Show as well as a Shop for a Cause Trunk Show. Let's start with Shop for a Cause. All commission from this trunk show will be donated to NothingPink. NothingPink is a non-profit whose goal is to help women afford genetic testing for BRCA Genetic Testing. Founded by my cousin, Kelly Kashmer, NothingPink strives to generate awareness of testing as well as who should be tested. Here is Kelly's story. When you shop through this link, all proceeds will go to benefit NothingPink! Now for the other fun news - this is a Mystery Hostess Trunk Show. That means that once the trunk show ends, for every $50 you spend you get one entry into the prize raffle. The winner will receive all the hostess awards - including product credits and half-off items! This is a win-win. Potential to win hostess credits AND proceeds go to an amazing cause! Don't know what to buy? Let me show you a few things...I'm highlighting a few more than usual in support of this trunk show. I want to be able to donate as much as possible to NothingPink! I love the rebel pendant. I get asked about it all the time. Such a fun, interesting necklace that is simple in design and easy to wear. It comes in gold, rose gold, and silver! The double horn pendant and luna necklace are old favorites, but the dome hoops and wave cuff are new and they are so pretty. They're done in a soft bronze color that has more of a blush undertone than the yellow of a typical gold. Date night last Saturday was the perfect night to try out one of our new tops that just launched. 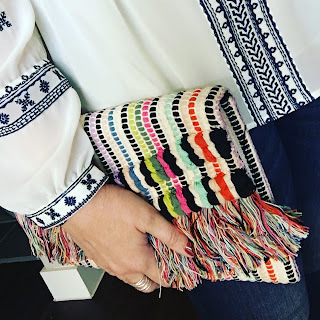 This is the Lela and I cannot say enough good things - the quality is great, the embroidery is so beautiful, it runs true to size. I paired it with skinny jeans and sandals for dinner at a local restaurant and it was the perfect outfit. I wear my Parker sunglasses all the time. The shape is perfect - a little vintage, a little trendy - and I loved pairing them with our new Arabesque line. 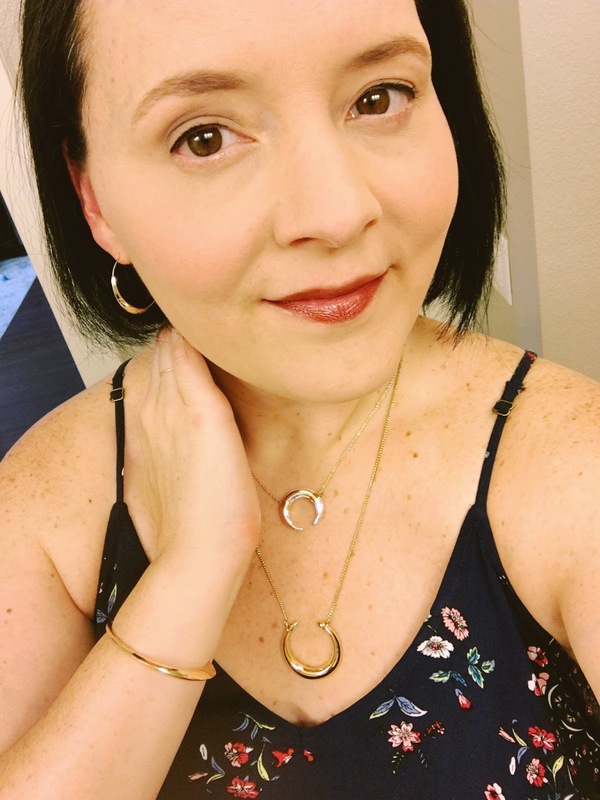 The necklace is great on its own or as a great layering piece and the orbital ring is quickly becoming one of my new favorite rings. Oh give me ALL the rose gold. I am a huge fan and Stella & Dot was happy to oblige with this latest release - so many rose gold options to choose from. 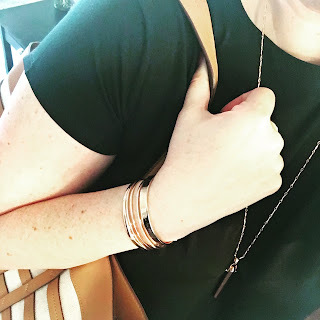 I snagged a few bracelets and I am loving them! How cute is this look for fall? The berry top paired with a statement necklace and the Lovebird pouch. 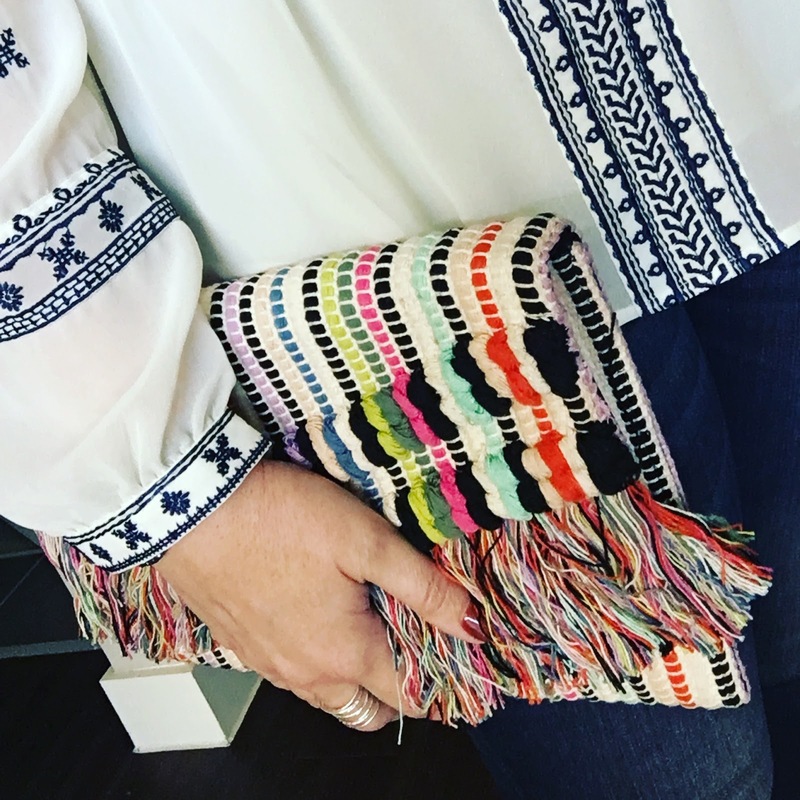 Technically it's for travel but can easily double as a cute clutch. And that lovebird print is too fun - I love it. There are so many looks for under $50 at Stella & Dot. This would be a great opportunity to stock up on Christmas gifts - think teachers, babysitters, dog walkers, a favorite niece. You can check some items off that list and also know that you are shopping to support a worthwhile organization! If you have any questions about any of the items or want to order, please send me an email at nichole@themrsfisher.com and I'll be happy to help you out!